Crossbows are excellent devices for minors that want to get into activities like hunting or recreational shooting. They are versatile, practical, and quite useful, given some proper safety instructions. There are many models to choose from, each with a different set of features that can vary depending on the model. Some choices are explicitly designed for young users, while other options marketed toward adults offer the mobility and ease-of-use that children and teenagers can benefit from. Here are a couple of things you should know while picking the right model. The first thing to consider is the type of activity the product is for. Target shooting and hunting demand an utterly different set of characteristics and specifications that can vary, like density, length, velocity, and draw weight which can have a tremendous general impact. Moreover, a person that is just beginning doesn’t necessarily need a model with the same features as a more seasoned individual. The first thing to have in mind when acquiring a crossbow is its power. This is dictated mostly by the bolt velocity, measured in FPS (Feet Per Second) and the draw weight. Both of these elements are important to know because depending on the location you're in, there can be regulations for hunting that prohibit certain devices that don’t pass a specific threshold in regards to power because firing may not result in a humane kill but just injuring the animal. Minors, in general, do better with devices that are lightweight and compact. First, because traversing long distances with a weapon can cause fatigue and second, because it gives the user more mobility. The bigger the product, the more likely it is to bump into branches and bushes which has an impact on quality. If the crossbow is going to be carried around, then it needs to be lightweight to avoid fatigue faster. It is the amount of force applied to the string while it’s pulled back. The higher this is, the more power it delivers to the arrow when pulling the trigger. This trait also determines how far the bolt goes and how accurate it is. You should take into account that it also means that heavier strings are harder to load which can be an issue for a minor even with models that come with cocking devices. Velocity essentially plays a role in how fast an arrow is and it's relevant because sound travels faster than an arrow. Animals react almost instantly to sound thanks to instinct. You can determine the speed by FPS or (Feet Per Second). Beginners are often prone to specific occurrences or accidents that are avoidable, provided a crossbow has the features to prevent them, like dry firing, which is basically when a weapon is fired without a full bolt and can result in damage to the device and in the worst cases, injuries to the user. Prices can vary a lot when it comes to crossbows, but that doesn’t generally translate into quality. Some more affordable options usually compare in power and efficiency to the most powerful. In general, it all depends on what are you looking and what you are using your bow for? Let's see which models made our list and the key characteristics that make them stand out. If you know about crossbows, then you know Barnett. This brand offers top quality products at an affordable price, while still offering great choices. Their options are always cost-effective. The Barnett Recruit Terrain Crossbow has a draw weight of 140 lbs that combined with an FPS of 330 that means it's a compelling weapon but is still suitable for young users. However, it does lose accuracy with added distance. 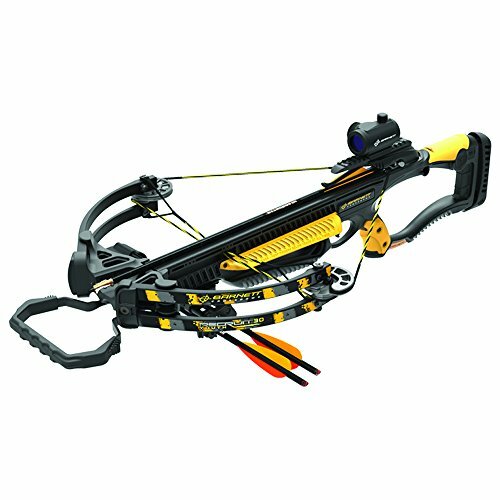 Putting together a crossbow is always a time-consuming task, however, this model comes almost assembled and ready to use. It has an anti-dry fire system, which is a must in youth-focused devices and also has a rope cocking device, therefore loading an arrow is easier. In terms of size, it is 16.125” from axle to axle and is one of the most compact options on the list. It has an adjustable buttstock that can be customized to obtain a better grip and is also great for minors as they won’t lose comfort while growing up. The material used in these models is stainless steel that can be very durable and lasting against the elements and the occasional bump. This option is unique in terms of power and mobility. It’s suited for experienced users that want a useful product but is still an excellent choice for beginners given the anti-dry fire system. Its measurements make it easy to carry around while being a long-lasting stainless steel device that can withstand the elements. This model is designed especially for children. It has the functionality of a more expensive model, with its adjustable buttstock that provides more comfort and finger reminders to keep the user safe when firing. It is also the most affordable option which also makes it a good option for those that are just beginning in archery. It has a draw weight of 30 lbs which makes it perfect for a minor because they can load it themselves without a cocking mechanism and has an FPS of 140. This weapon is a perfect option for an entry-level young user, given its lower characteristics. However, before using it for activities like hunting, it's advised to check the regulations in your area since the low draw weight may be prohibited. Besides that, it's a compact and lightweight option with a total weight of 6.2 lbs, without accessories. The red dot scope that comes with it delivers accurate shots at short distances, but it falls short in long ones, given its low draw weight. This alternative is great for those people that are on a budget but still want the customization that a pricier model offers. This choice lacks power, but it is still an excellent option for the youngest users and those that are just beginning. This option is the heavyweight champion for more seasoned users. It is not only great for experienced young users but for small-framed people that want an effective but compact weapon. It has 150 lbs of draw weight and a speed of 300 FPS which means that it is as powerful as heavier and pricier options. It comes with a cocking mechanism that reduces the draw weight by 50% while loading it with an arrow and also comes with a Ten Point's 3x multi-line scope that can deliver accurate shots up to 50 yards with almost no spread. It is 33 inches long from axle to axle, which doesn’t make it as compact as other options on the list, but the overall weight is still light at 5.9 lbs. If a young user is ready for a more powerful tool after learning the ropes of shooting a crossbow, then this is the next logical step. The model is designed for small-framed users and delivers a considerable amount of power. It is not only a product that can be used by minors but by adults that desire a smaller model. Relaxation of crossbow regulations are not without controversy. However, crossbows advocates are slowly winning the war and more people are taking to the woods with horizontal bows. There is no doubt there are advantages to using a crossbow over a compound bow. But there are several things you need to know before hunting with a crossbow. The are numerous benefits to hunting with crossbows. Once they are sighted in, anyone can use them. It doesn’t’ matter if the shooter is right-handed or left-handed, young or old. Once a crossbow is cocked, it’s easy for anyone to fire. That’s what makes the crossbow so handy for introducing kids to hunting. They don’t have to have super strength to pull back a bow string and the bark and kick of a gun is absent in a crossbow. Manufacturers are creating crossbows with built in cocking mechanisms for ease of use. 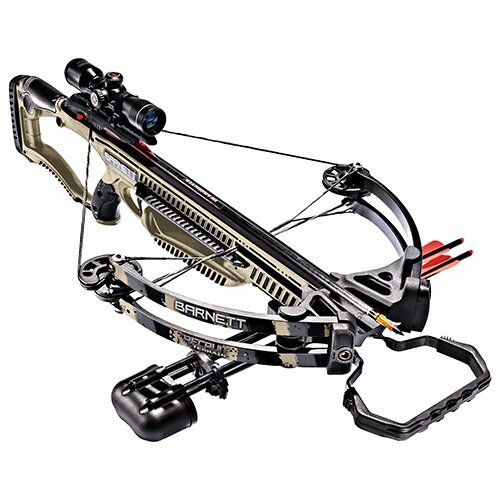 Parker Crossbows has recently released a crossbow with an automatic cocking mechanism powered by CO2. The most obvious advantage of hunting with a crossbow is being able to be perfectly motionless while waiting for a deer to move within range. The bow is already drawn. 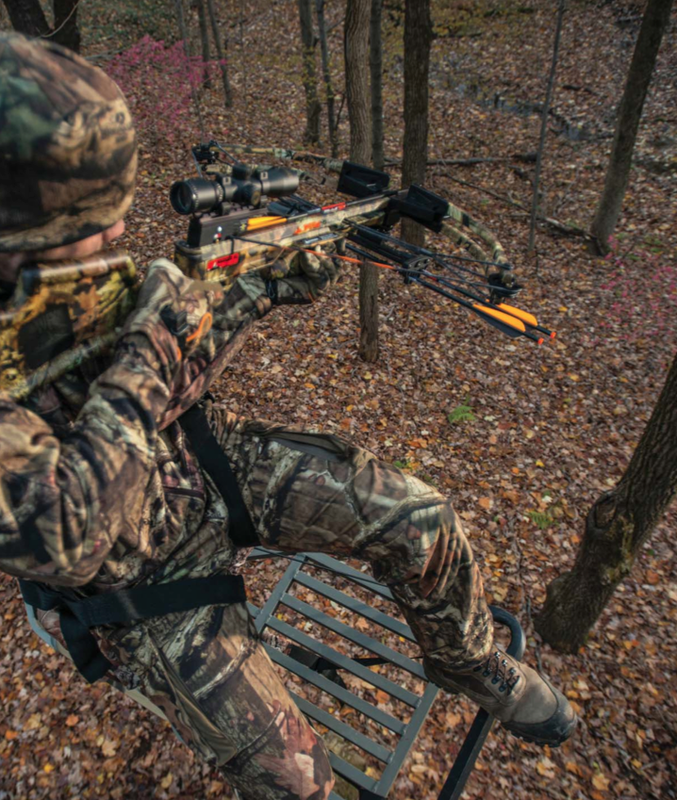 No need to stand up and risk being spotted while pulling a bow back. Crossbows are also ideal for ground blind hunting. One of the issues with hunting out of a ground blind with a vertical bow is being low enough to avoid hitting the roof of the blind with the cam. 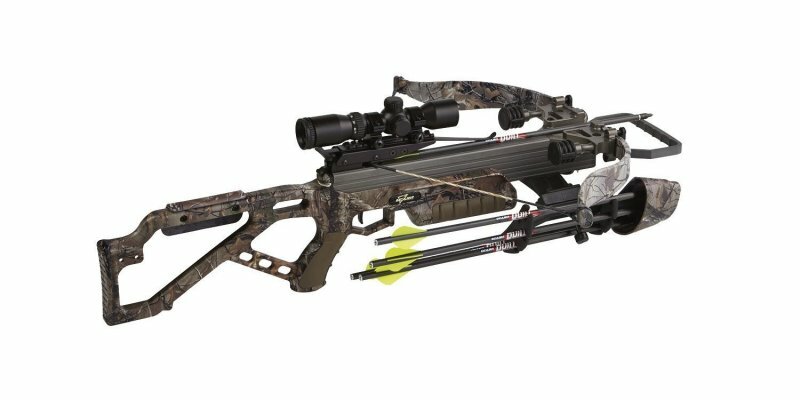 Crossbows are being made more narrow than ever. There are several models on the market measuring 18” or less limb-to-limb when cocked. The other big advantage is the scope. Compound bows are usually sighted in for an individual. Once a crossbow is sighted in, just about anyone can shoot it as long as they are steady. It may sound like crossbow hunting is a piece of cake, but it’s not as simple as it sounds. First of all, many opponents of the crossbow see horizontal archers hitting targets as far away as one hundred yards. You may be able to hit a target at that distance but a deer isn’t going to sit around and wait for an arrow to travel a hundred yards. If you practiced that shot with a compound bow you could make it too. Big game needs to be just as close, if not closer, to be within ethical range of a crossbow. Crossbow bolts are often fifty to one hundred grains heavier than compound bow arrows. Bolts drop much faster than arrows over long distances. Crossbows have a few more moving parts and typically make a little more noise when fired than compound bows. This makes jumping the string more likely with a crossbow than a compound bow. Just another reason why it’s important to wait until game gets close before pulling the trigger. Like any other weapon, there also safety precautions that need to be followed. The first thing a crossbow hunter should do is read their owner’s manual and fully understand how their particular crossbow works. The safety should always be left on until you’re prepared to fire. When firing, it is imperative that your hands remain on the stock and below the rail of the crossbow. The string could literally take off a finger. For a short demonstration, check out the video below. A suitable device will not only help young users that want to learn the sport of hunting but also experienced ones that have outgrown their current one. These tools, given the right instruction, can keep minors utterly safe while they enjoy themselves and their newly acquired crossbow.